Sunday July 29, 2018 Michigan Kappa Club Cruise. Starts at NOON from Baker's Restaurant 2025 S. Milford Rd. Milford, MI. Leisure drive through scenic countryside with hills and curves. 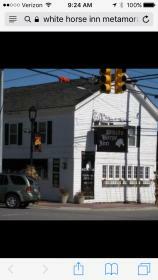 Traveling about 100 miles and ending at White Horse Inn in Metamora, MI. This in was an original stage coach stop and is very interesting. Come socialize with fellow Kappa owners and enjoy a fun filled day. Do not have to be an MKC member to attend our events. Get in your kappa and join us! Hope to see you there.